- Enhances hair follicular density. - Improves tensile strength of hair. 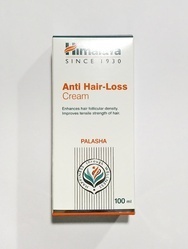 Himalaya’s Anti Hair Loss Cream promotes hair growth and controls hair fall by stimulating the active phase of the hair growth cycle. Visible effects can be seen within two weeks. A 40% hair regrowth can be seen in three months and prolonged use for up to six months brings about a 70% reduction in hair loss. What it does:Himalaya's Anti-Dandruff Hair Cream gently and effectively removes dandruff while keeping hair nourished and moisturized. It soothes an itchy and flaky scalp, which in turn helps strengthen the hair shaft and control hair fall. 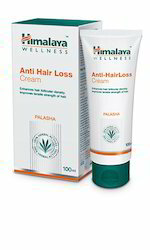 Himalaiya anti hair fall cream is stop to hair fall quickely and grow new hair. Himalaya's Anti-Dandruff Hair Cream gently and effectively removes dandruff while keeping hair nourished and moisturized. It soothes an itchy and flaky scalp, which in turn helps strengthen the hair shaft and control hair fall.